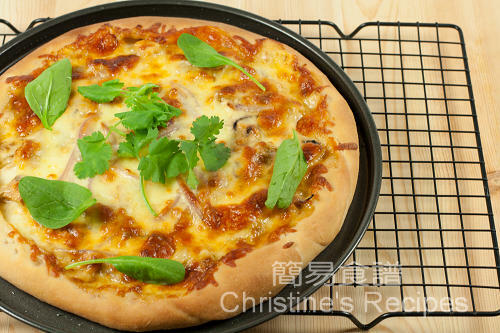 Woolies 和 Coles 都有得買。但 Hypermarket 更便宜，我從哪裏買 Defiance Baker's Flour 5kg裝（看背後說明 100g 內含 12.5g 蛋白質就屬高筋粉 bread flour了）。但他們每天只有限量，不多存貨。可問問 staff. Just have a quick question regarding making the dough. If i choose to use the bread machine to make the dough, do i still have to follow step 1 (mix warm water with sugar and yeast, and let stand for 5 and 10 minutes) and then dump the mixture into the bread machine? Or can i just dump all the ingredient SEPERATELY (without mixing the warm water, sugar, and yeast) into the bread machine and it will still does its job? Thanks. In fact, if you use Instant Yeast, there's no need to mix it in warm water beforehand coz it will work instantly with other ingredients. If you're not sure the yeast is still effective or not, please do so. It's a safer way to do the step 1. If you're not sure of anything, please follow all the steps closely to get best results. 請問 "高筋粉 (bread flour) 2杯" 當中一杯指幾多g / ml 呀? Sure, you can. The texture might be a bit different. It doesn't matter. 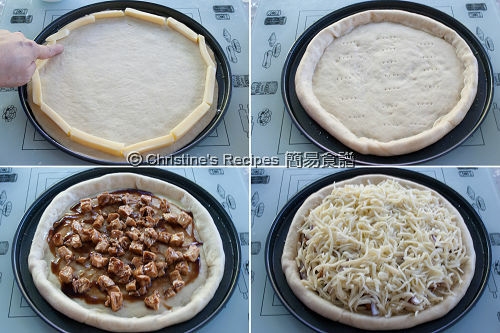 Any recipe for making the dough without bread making mechine? For making the dough, you can just knead it by hand. It's only take more time and energy. Knead until the dough is smooth and stretchy. Hi, I am new to your blog. Thank you for sharing. Do I have to knead By hand till pass 'window panel' as like making bread? Thanks. For making pizzas, the dough doesn't need to pass the windowpane test. 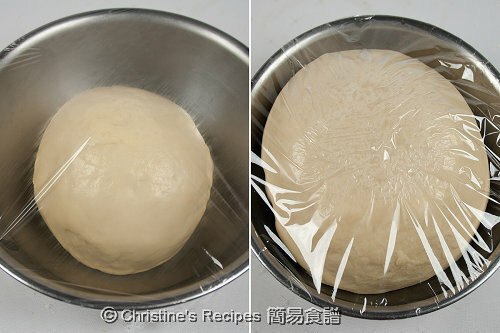 Just knead it into a smooth dough, with the surface no longer sticky to your hands. 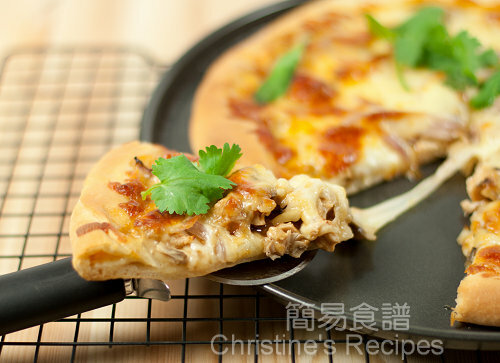 我想問可唔可以用Plain Flour / Self Raising Flour 或者Mix 2樣?? ?